If you believe Cloud Computing is “hype”, “unsecure”, “won’t be accepted as an enterprise-wide solution”…. WRONG. Significant change is upon the AECOO (Architecture, Engineering, Construction, Operations, Owner) Sectors, and many are unprepared. 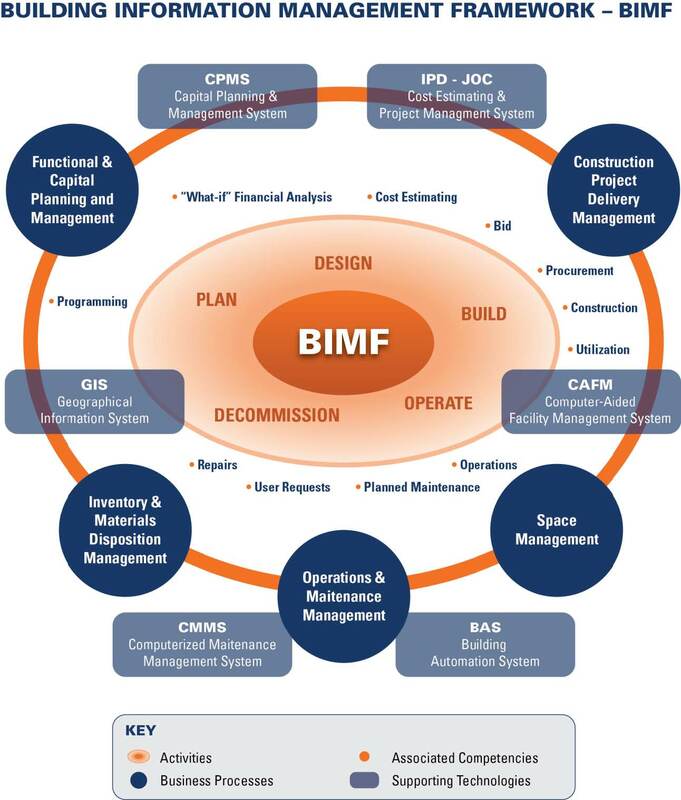 BIM… as a process (not as a 3D visualizuati0n tool) will be commonplace, in parallel with cloud computing, total cost of ownership, as well as efficient construction project delivery mechanisms such as IPD (integrated project delivery) and JOC (Job Order Contracting). Currently used techologies and processes such as IWMS (Integrated Workplace Mangement Systems), EVM (earned value management), and LEAN are interim at best as they do not provide the level of domain-knowlege, ease-of-use, or scalability, collaboration and interoperability needed to be efficient. IWMS systems, for example… like Maximo, TMA, Planon, etc. have roots in legacy applications and/or specfic knowledge-domains (such as CMMS-commuterized maintenance management, or CAFM-computer-aided facilities management/space planning/utilization). Despite attempts to provide equivalent levels of sophisitications across all requisite domains, they appear to struggle at best. 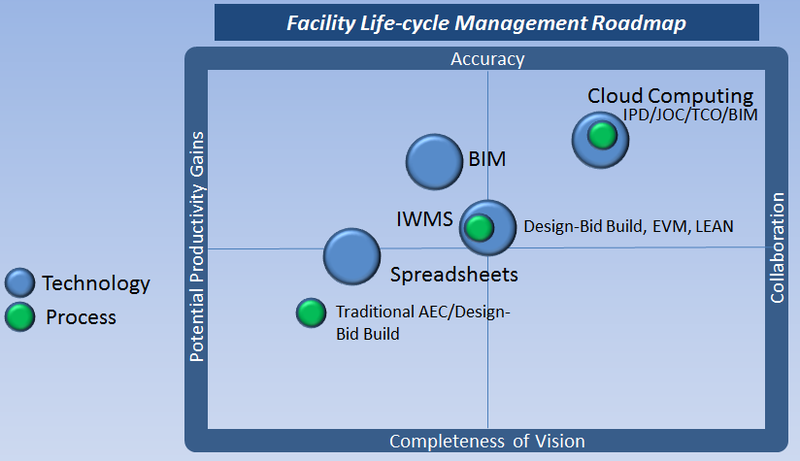 Similarly, processes sush as EVM or ” earn-valued management” are being applied to Construction Project Management. While this may represent a step forward for many construction firms and Owners, is far too simplistic to enable facility life-cycle management and/or total cost of ownership (TCO) level decision support. 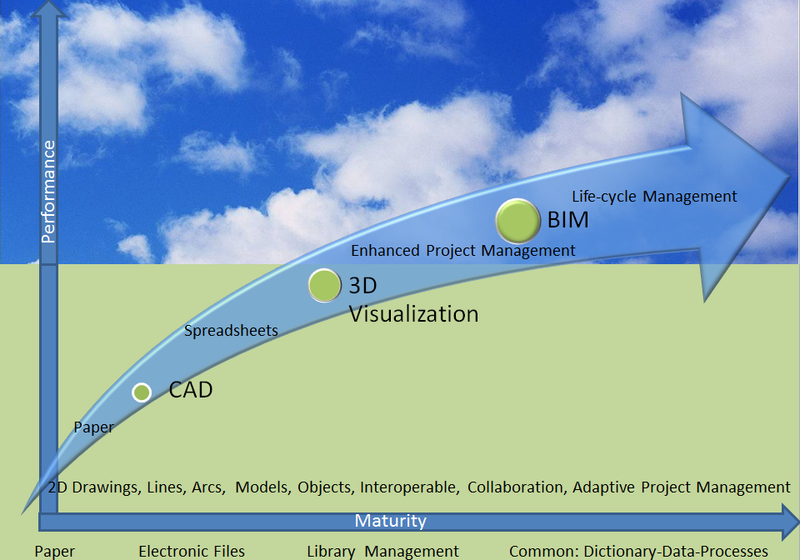 The convergence of BIM as a process and Cloud Computing provides the enabling platform for facility life-cycle mangement. The future is now.